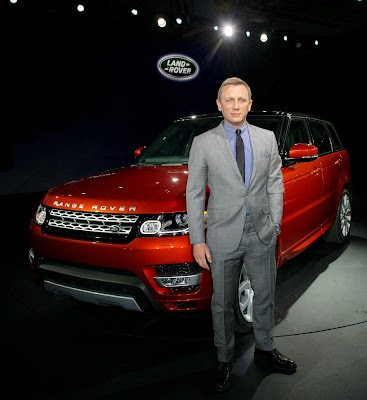 The all new Range Rover Sport is launched in both petrol and diesel in India. This brand new SUV from the house of Tata Motors-owned automaker Jaguar Land Rover comes with a price tag of Rs. 1.09 crore and Rs.1.65 crore. New Range Rover Sport flaunts classy exteriors, which is the hallmark of all Jaguar Land Rover (JLR) cars. 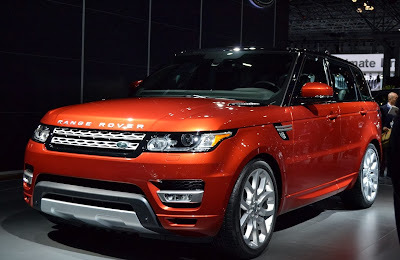 New Range Rover Sport petrol version has 5-litre V8 engine and the diesel variant has 3-litre SDV6 S engine. The petrol version is more expensive that comes with a price tag of Rs. 1.66 crore. The aesthetics of this vehicle has the Range Rover's Design DNA. The top speed of the diesel variant is 210 KMPH while the petrol variant is the fastest in its segment with a top speed of 225 kmph. The diesel variant can reach 0-100 kmph in 7.2 seconds while the petrol variant can reach 0-100 kmph in just 5.3 seconds. The new Range Rover Sport for the first time flaunts a lightweight aluminium body structure. This new SUV has better fuel efficiency and lighter than its predecessors. This car is one of the most technologically advanced vehicles with features like next generation Terrain Response Setting, 8 speed ZF automatic transmission, and enhanced rear seat comfort. It's the fastest of all the Land Rovers. This brand new SUV performs extremely fine on-road as well as in terrain. Its exteriors exude masculinity while its interiors epitomize luxury. The 3-litre SDV6 turbo diesel engine delivers a maximum power of 292PS while its supercharged Petrol engine delivers a maximum power of 510 PS. The engine performances of both the variants are extra-ordinary. This car is surely made for the super rich adventurous audience.